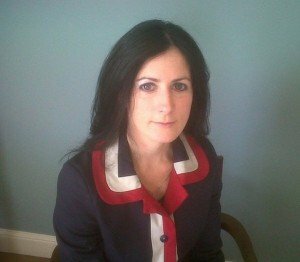 My name is Deirdre Blackwell, I am a qualified Solicitor having graduated from The Law Society of Ireland in 2003. In 2010 I set up my own Solicitors Practice, Blackwell O’Reilly Solicitors. I have considerable experience in a General Solicitors Practice having practised as a Solicitor for nine years prior to setting up my own practice. I can assist clients in the following legal areas: Sales and Purchases of Residential and Commercial Properties, Wills and Probate, Personal Injury actions, Family Law, including Divorce & Separation matters, District Court Family Law matters: Maintenance, Access, Guardianship and Custody Applications. Debt Collection and Civil Litigation. My intention in my new business is to provide clients with a fresh approach to legal representation and attending a Solicitor. I now work from my office at home just outside Clonmel in Ballypatrick, but will meet clients at a location and time to suit them irrespective of where that may be, at your home, your office or wherever is most convenient to you. Evening appointments available. In these recessionary times I believe we all have to be flexible and adapt to new ways of doing business. In a world of mobile phones, laptops & tablets business can be taken out of the more formal & traditional setting of an office and can be more flexible. I wish to provide all my clients with this flexible approach while continuing to provide a top class Personal, Professional and competitively priced service. I look forward to meeting new clients both young and old and building a practice through this recession by providing top quality advise and assistance in a professional and friendly environment.